Google is all set to unveil the Pixel 3 devices, even though we’ve already seen them to quite an extent, courtesy plenty of leaks. However, there are still conspiracy theories around a third device with no notch. Today’s leak is about an accessory that Google will unveil with the Pixel 3 and the Pixel 3 XL. We already knew Google is building wireless charging for the Pixel 3 lineup, and this time the leaks shows the Pixel Stand charging dock, which was spotted by by 9to5Google. The dock can be seen in an animation which was dug up from within the code of the Google app. 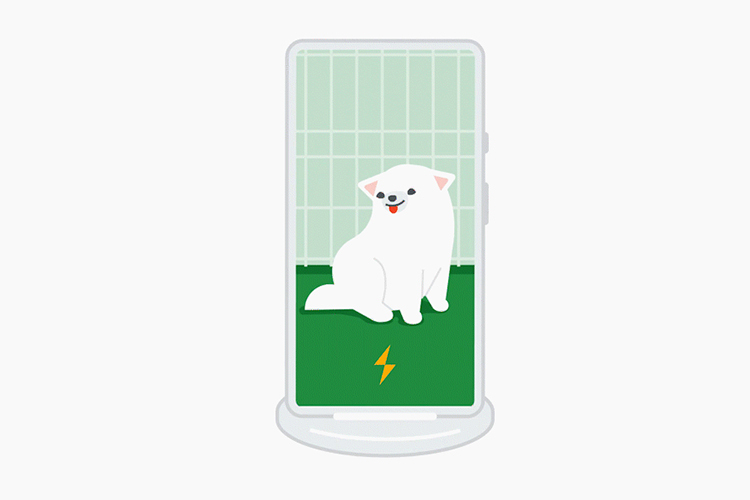 As seen in the animation, the Pixel 3 will rest in portrait mode on the Pixel Stand. Additionally, while in the Stand mode, Pixel 3 devices could also show a slideshow of images and allow users to interact with the phone. Besides the charging animation, 9to5Google also highlights other actions the Pixel Stand could do. These actions may include displaying notifications, reading out texts, playing music, and chiming alarms. The Pixel Stand has all the necessary ingredients which make it a smart display when docked. It’s not unlike what the Google smart displays can do. Google is also rumoured to be launching a Google Home Hub smart display at the event. 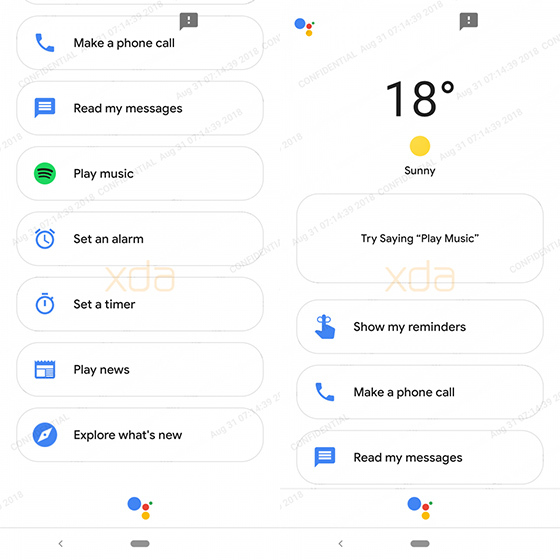 The speculation of the smart display feature also aligns with recently leaked screenshots of a new Google Assistant UI, which shows larger buttons and easily accessible shortcuts for making calls, adding reminders, playing music, news, or setting an alarm or a timer. What is yet to be seen is whether Google restricts this accessory to its own Pixel 3 (and later) phones or whether other phones can also use the stand.